Rudy the rougarou is a book about a young boy living in the Manchac swamp of Louisiana. Rudy is different from other young boys because he is a rougarou. Rudy's character is based upon an old Louisiana Cajun legend of the rougarou, Cajun for werewolf. 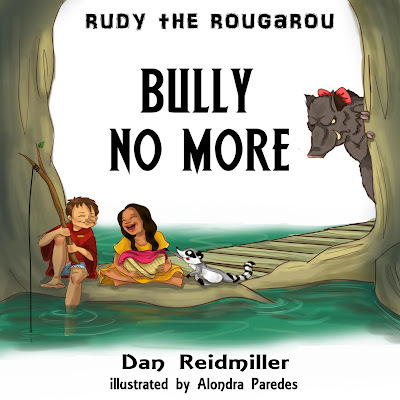 In this second book in the Rudy the Rougarou series, we find Rudy and his friend Marshmallow as they stumble upon a young girl, Sophia, who is being intimidated by the mean bully, CrayJaya! Can Rudy and Marshmallow help Sophia? What's going to happen? Will CrayJaya succeed in bullying Sophia? Read on to see how things turn out for Sophia.